The Fuzzy Five - #32: The Fuzzy Five Musical Special! 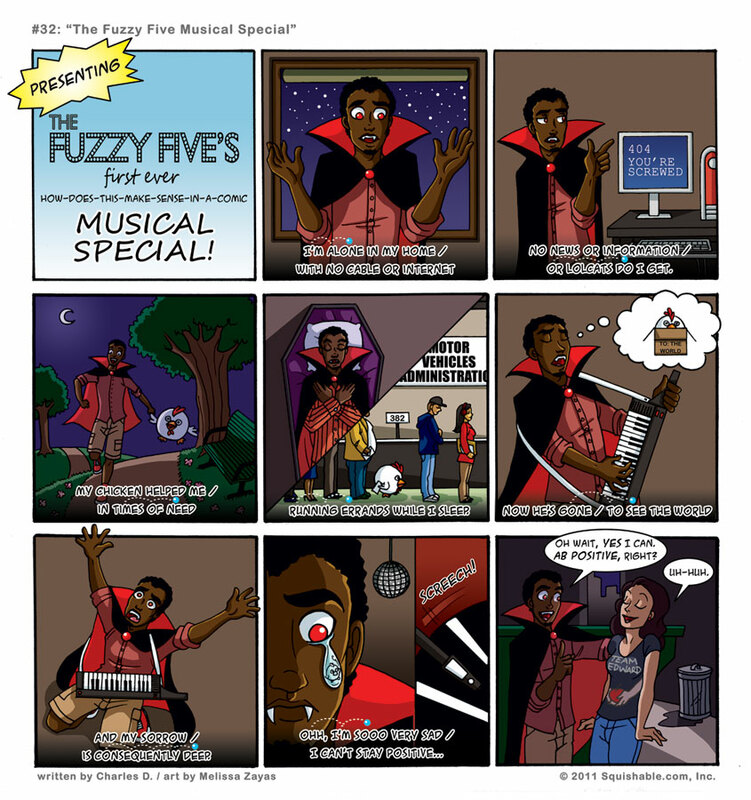 #32: The Fuzzy Five Musical Special! For a little background on Clement and Breakfast’s story, check out this old strip. I laughed so hard. That really made my rainy day. i think you guys should release a CD! You have made my night/day. Truly, the world needs to hear this NOW. That song was so bad it was good. And the comic is just good as usual!